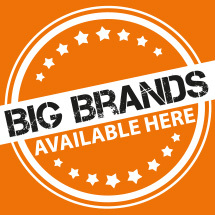 Nylex is a name that sits high amongst Australia’s most iconic brands and is synonymous with quality and reliability. Nylex has fostered their relationship with the Australian backyard for decades with their commitment to a high standard of good design and sustainability. When you buy a Nylex rainwater tank, not only are you buying an Australian made product, it’s also backed by a 10-year warranty. Nylex offers a choice of sizes and contemporary colours to suit your needs, whether it be for a backyard, a farm, a factory or a sports ground.